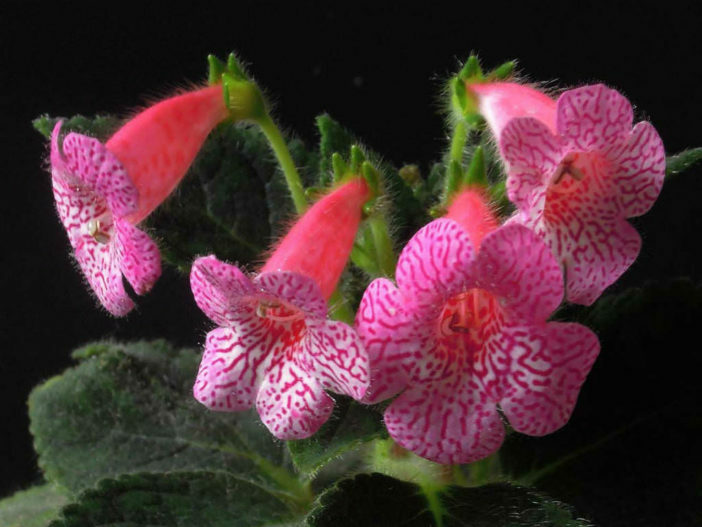 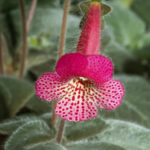 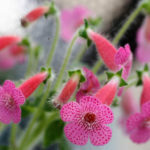 Kohleria amabilis is a flowering plant, up to 24 inches (60 cm) tall. 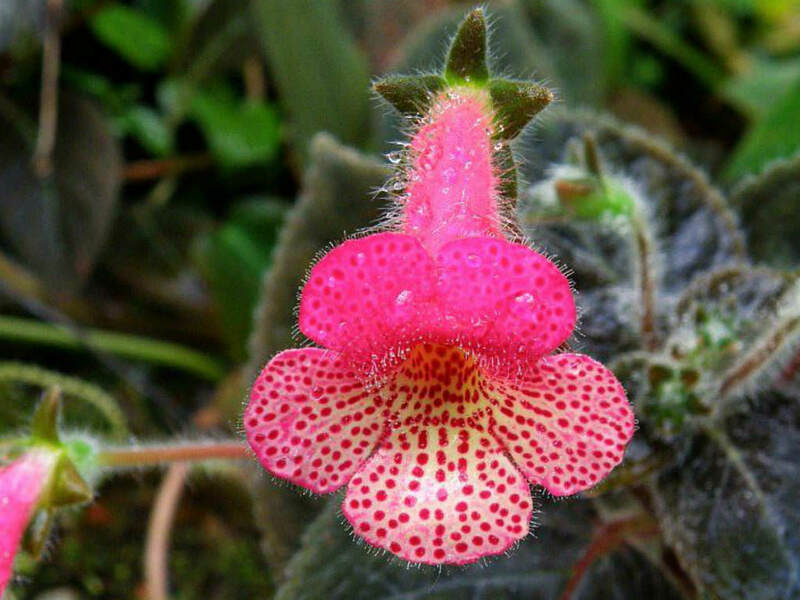 The leaves are egg-shaped, velvety, up to 4 inches (10 cm) long, and have a silvery pattern. 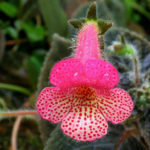 The brightly colored flowers are up to 2 inches (5 cm) long, tubular, slightly nodding, usually pink on the outside with red or purple dots inside. 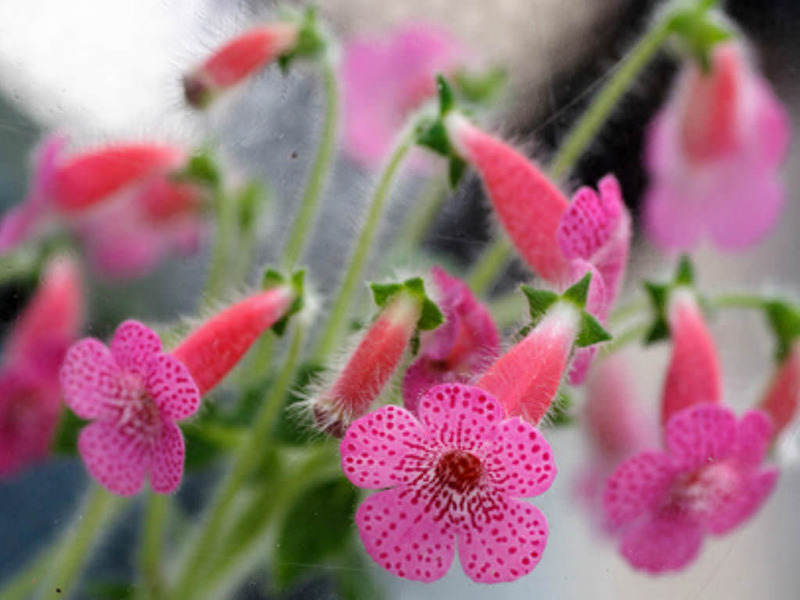 Flowering period extends from late winter through the spring and summer. 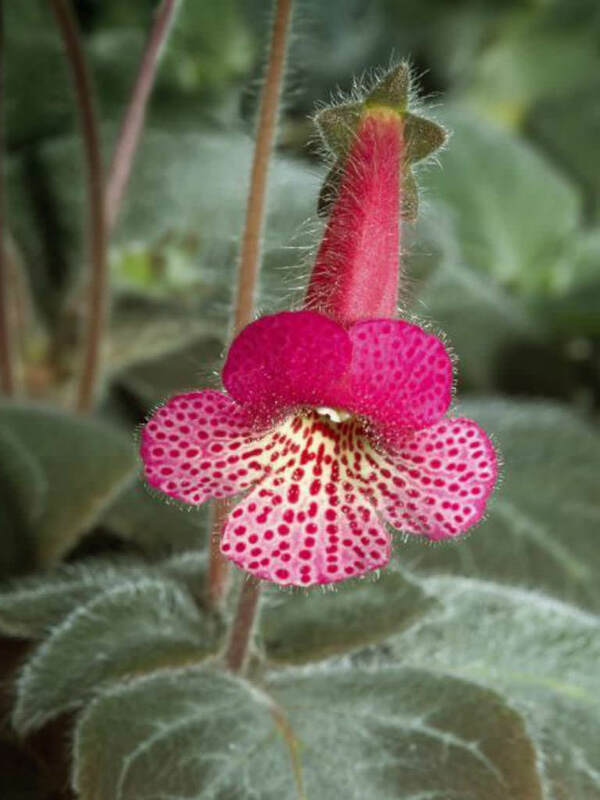 Native to Honduras and Colombia.